Monaco Lounge pair of French Club chairs feature a tapered back the like of which we've rarely seen. Beautiful plumb arms and great overall lines balance on their ball feet. 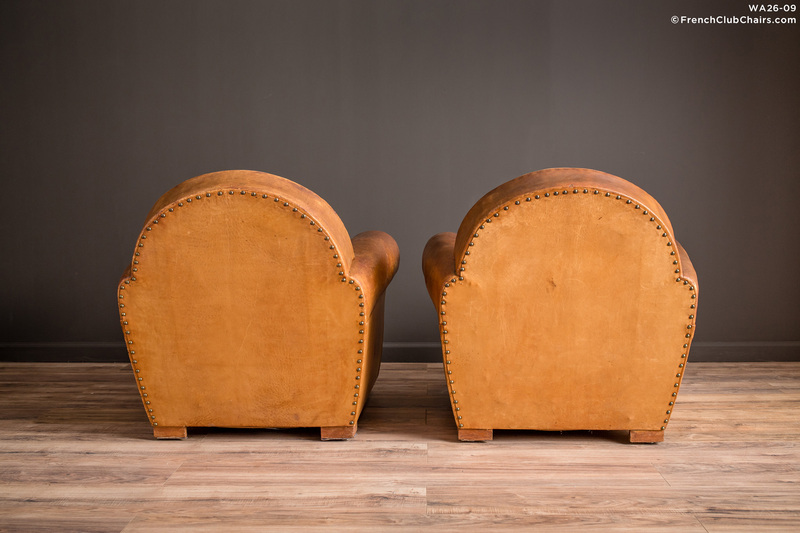 We restored the cushion for this vintage pair, The leather is in very good condition with some age appropriate wear as they hail from the 1930s. Pretty good depth of seat at 22" these will appeal to clients of all heights. measurements: depth-34", width-32", height-33", seat depth-22", seat width-16", seat height-15"